Learn how to bleed your own brakes! 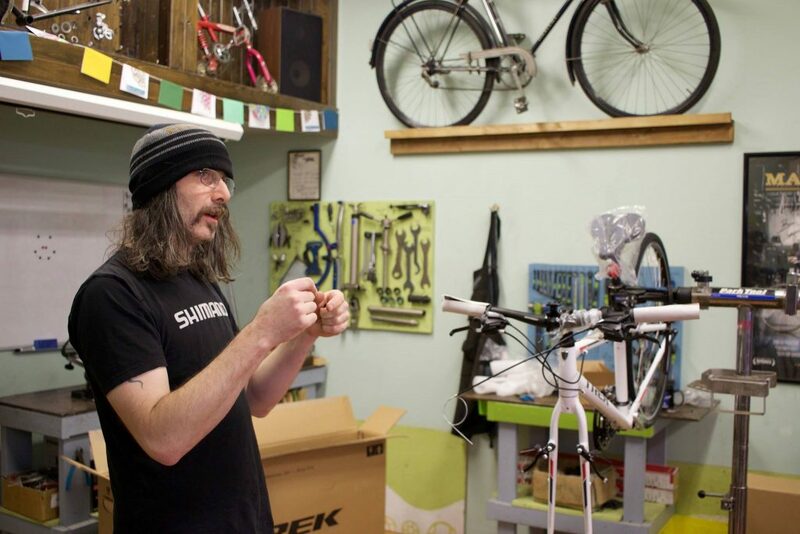 This 2 hour workshop with Charlie Best will give participants the opportunity to bleed your own hydraulic disc brakes. Join us with your bicycle in our professionally equipped workshop space. Allow Charlie to guide you through the process while learning the key steps and pointers for a perfect bleed. Leave with your brakes feeling like new and the know how to bleed them in the future! Shimano and Tektro brakes only. Mineral Oil provided. Join us for a six-week workshop series that will deepen your knowledge and understanding of bicycle mechanics. 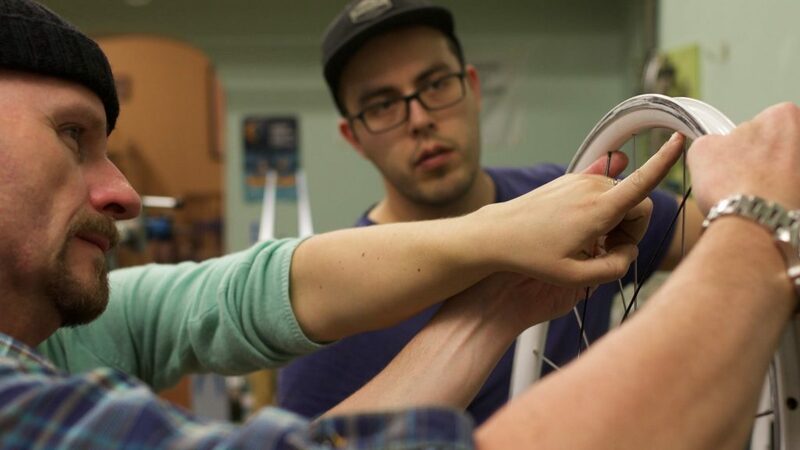 Week-by-week Jean will teach you how to identify the function, potential problems, and basic maintenance needed for each system of your bicycle. Workshops will each include an introduction to the topic, a short demonstration, and opportunity for hands on learning. Workshops will be held in our workshop at 293 George Street on Sunday's from 3 p.m. to 5 p.m. Example parts will be drawn from our collection of bikes and parts, workshop participants are invited to bring their own bicycles for reference and practice but will not be opportunity for all repairs on all participant bikes. 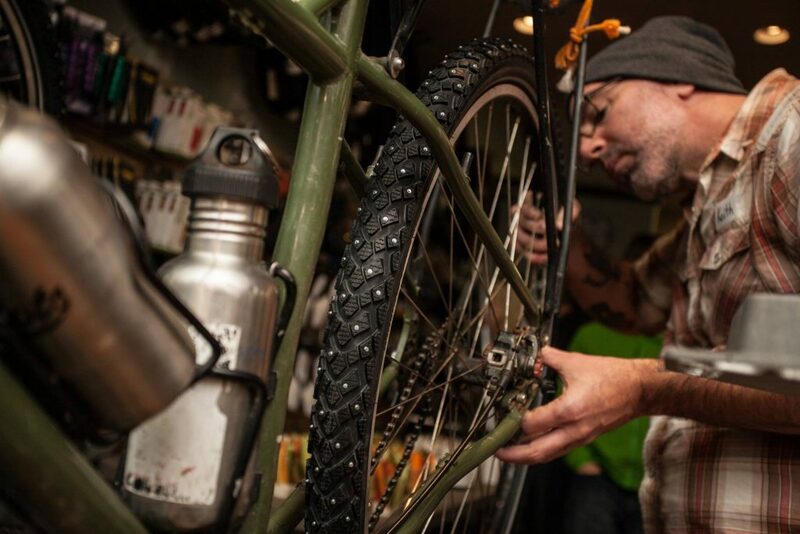 Join us for a six-week workshop series that will deepen your knowledge and understanding of bicycle mechanics. 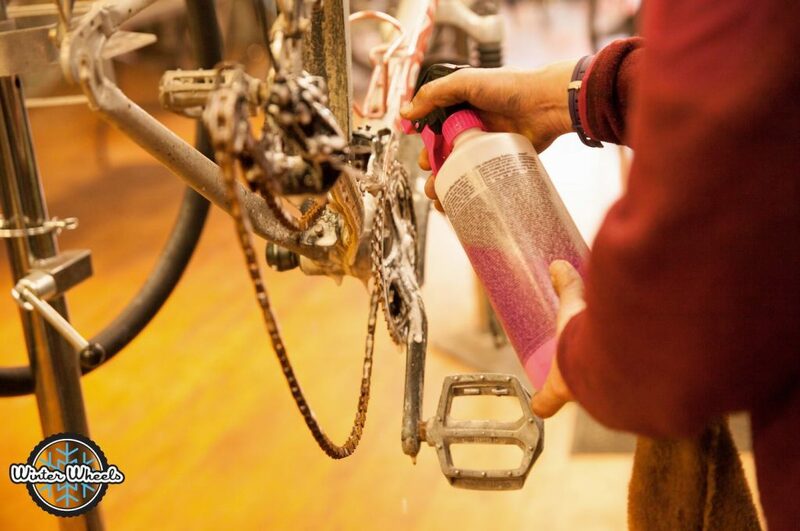 Week-by-week Jeet will teach you how to identify the function, potential problems, and basic maintenance needed for each system of your bicycle. Workshops will each include an introduction to the topic, a short demonstration, and opportunity for hands on learning. Workshops will be held in our workshop at 293 George Street on Thursday's from 5:30p.m. to 7:30pm. Example parts will be drawn from our collection of bikes and parts, workshop participants are invited to bring their own bicycles for reference and practice but will not be opportunity for all repairs on all participant bikes. We will be offering a special thanks to our departing Board Chair Dwight Couchman. In his 8 years of service on B!KE's board Dwight has overseen our organization grow immensely. Meeting will be held at B!KE 293 George Street North. Doors will open at 5:30pm, meeting starts at 6:00 pm. Light food from By the Bridge to be served. Bike parking in the alley and on George. Car parking free in the King Street Garage if you depart after 7pm. As a part of Peterborough's presence during International Winter Bike to Work Day, we invite you to join us for a group photo! As you make this stop on your way in to work we promise you will enjoy some big smiles as well as free coffee and treats. The group photo will take place outside of Peterborough GreenUP at 8:30a.m. If you have a bit more time, stick around for a portrait with you and your winter bike. This event is presented in partnership between B!KE, GreenUP, Winter Wheels, and the City of Peterborough. Join Tegan Moss and Charlie Best for a morning of bicycle drills to practice your handling skills in snow and ice. 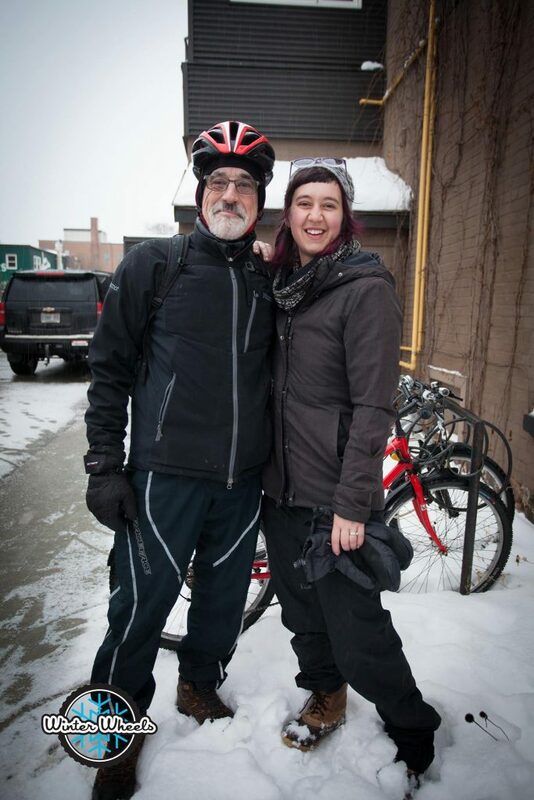 Charlie is a Can-Bike certified bicycle instructor and Tegan Moss is an avid winter rider. These two fantastic teachers will put you through a series of drills and exercises that are sure to help improve your confidence while out riding in winter. 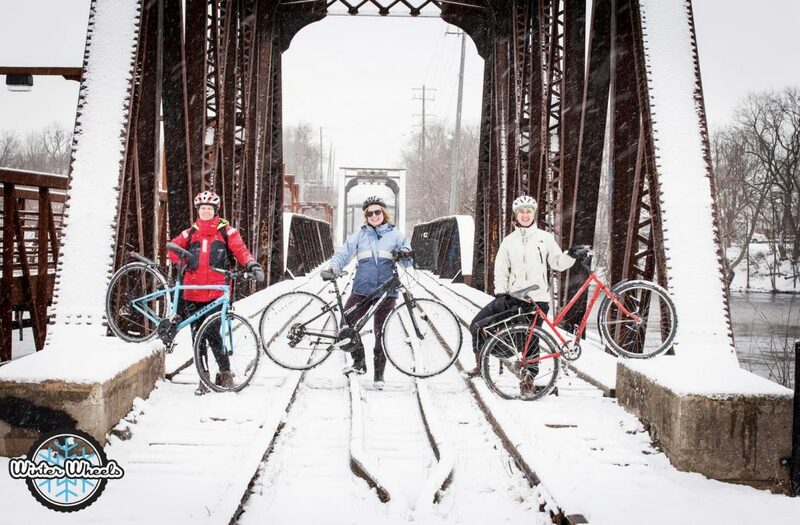 The Winter Bike Fashion Show has been running for the last two years. In it, experienced winter riders have shown off their favorite winter riding apparel and talked about how and why it works. 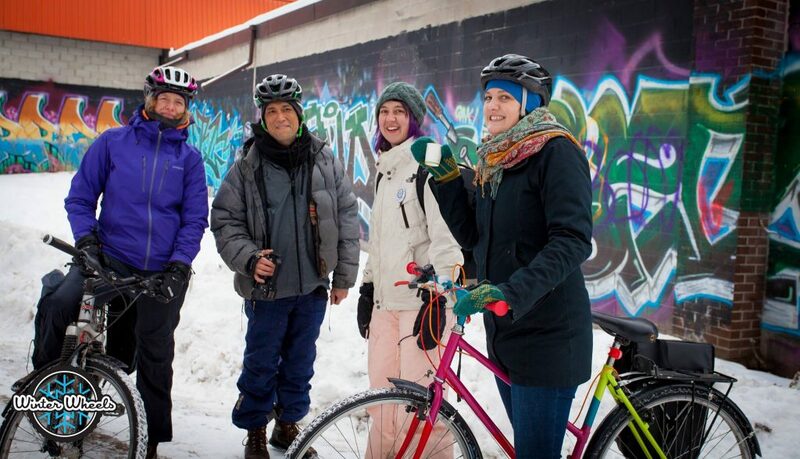 This year we invite a bit more dialogue and want to shake things up with Winter Bike Fashion Show & Tell! Bring your favorite winter cycling apparel to talk about how it works and why you like it. Come prepared to ask questions and share ideas. Light refreshments provided. By donation. Everyone welcome. Free for Winter Wheels participants. 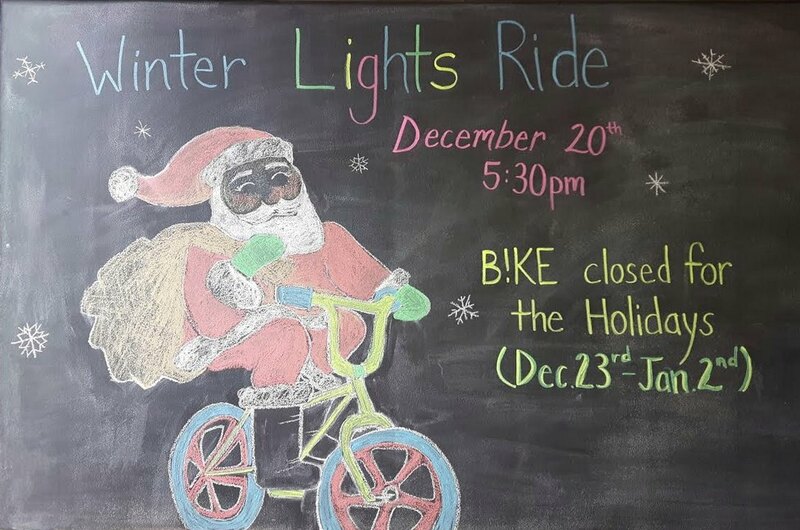 The Winter Lights Ride is our annual holiday glow ride! Light up your bicycle with LED lights and pedal for joy! Enjoy the company and good cheer of other B!KE members and volunteers! The ride leaves from the alleyway behind B!KE at 5:30 p.m. and weaves through the Avenues. Put an extra bell on your bike for more fun ringing in the holidays! As per Ontario law, a front white light and red tail light are REQUIRED. Helmets strongly encouraged. So you want to build wheels? "So you want to build wheels?" 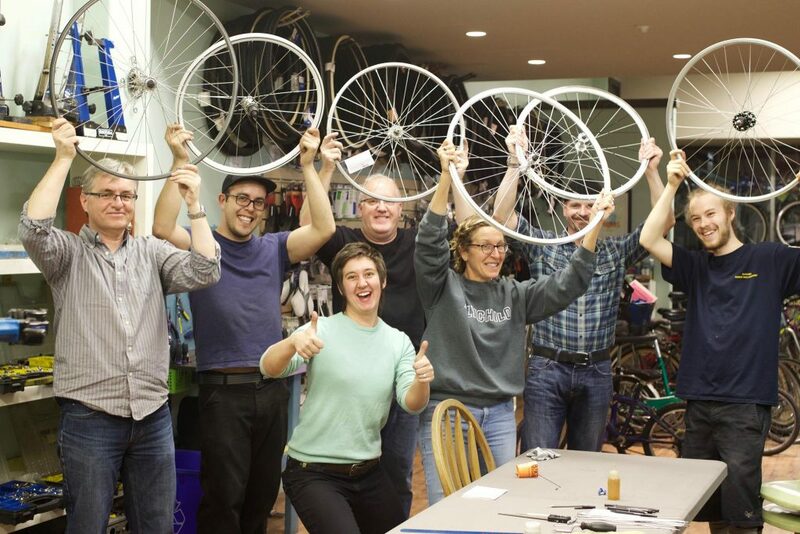 is a 1.5 hour workshop specifically for people who plan to build a wheel (or wheels). It will cover important elements of theory, material selection, and introduce spoke length calculation. Tegan Moss will be leading this session in order to prepare people for our two part workshop on wheel building at the beginning of December. If you are interested in the series but do not plan to build wheels personally at this time, talk to Tegan as we may have wheels that need building for a shop project. Workshop is $10 for members and $15 for non-members. Register by emailing tegan@communitybikeshop.org or visiting us in the store. B!KE is proud to host the first Pop-Up of The Bicycle Museum by Dandyhorse Media. 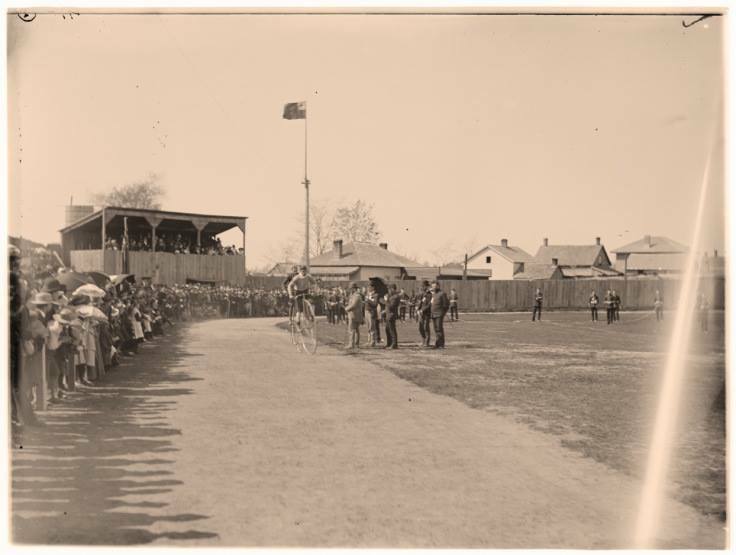 The Bicycle Museam will feature images specific to the history of bicycles in Peterborough. Join us at B!KE for the opening night on Friday November 2nd from 5-8 or enjoy the pop up in the store throughout the month! 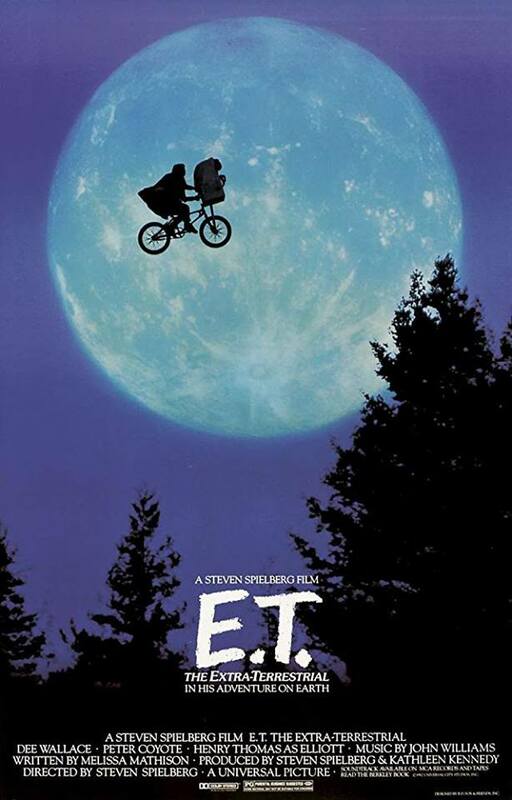 Join us to watch the classic film E.T. Doors at 7:00, movie starts at 7:15. Arrive at 7:00 to get yourself comfortable. We have lots of chairs, but your camping chair might be more comfortable... Come a bit early if you would like to make your own popcorn (we have a popcorn maker and the corn). Bring your own beverages. Free admission, donations to cover the cost of film purchase appreciated. Workshops will be held in our workshop at 293 George Street on Wednesday’s from 7:15p.m. 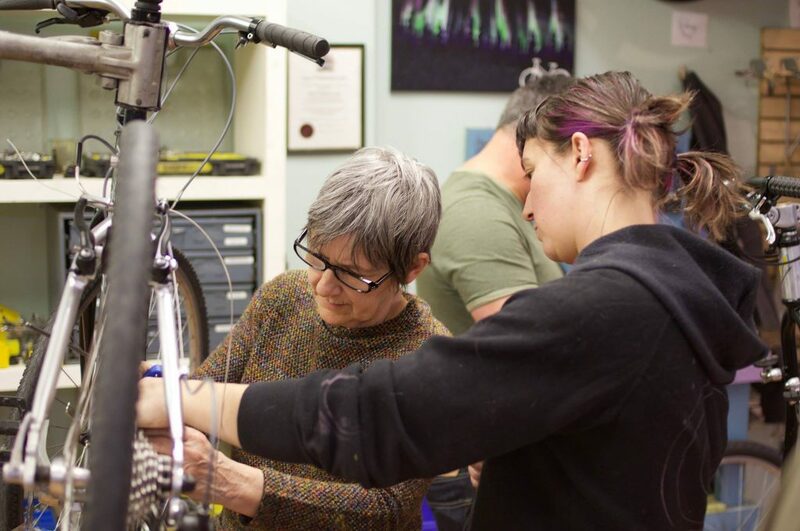 to 9:00pm Example parts will be drawn from our collection of bikes and parts, workshop participants are invited to bring their own bicycles for reference but there may not be opportunity for all repairs on participant bikes.